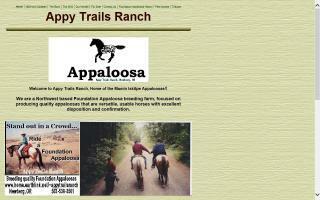 Appaloosa Breeders and Horse Farms Directory - O Horse! The mission in our breeding program is to produce quality foals that have proper Appaloosa conformation, a willing, people friendly disposition, and the versatility to successfully participate in a wide variety of events. 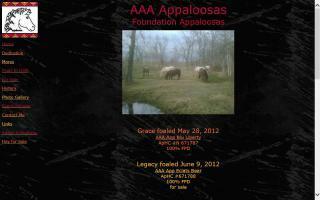 Foundation bloodlines, color and the Indian Shuffle are integral parts of our program. We focus our breeding program on creating elegant sport horses and warmblood types with spotted coloring using Akhal-Teke and Appaloosa horses. Altamont Sport Horses is a small farm producing quality Trakehners as well as the occasional Irish Draught Sport Horse and Appaloosa Sport Horse for the disciplines of dressage, show jumping, and especially eventing. 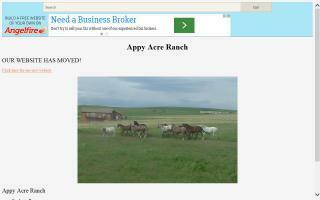 It is our goal to produce athletic foals with exceptional temperaments. Our foals are carefully imprinted at birth and handled daily until they are weaned at approximately 6 months of age. At Altamont Sport Horses, we begin the process of developing our foals' trust of humans from the moment they take their first breath. Babies for sale sired by black leopard Lucky Justice from Res World & Nat Ch Cowboy Justice(black leopard) & AQHA World Ch Sonny Go Lucky. All around young prospects available. Home of the Mamin Iskitpe Appaloosas.